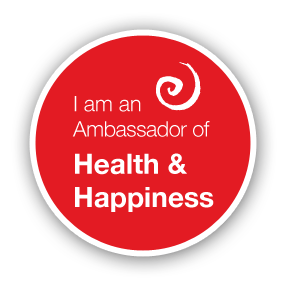 I received my training as a Health Coach from the Institute for Integrative Nutrition’s cutting-edge Health Coach Training Program. During my training, I studied over 100 dietary theories, practical lifestyle management techniques, and innovative coaching methods with some of the world’s top health and wellness experts. My teachers included Dr. Andrew Weil, Director of the Arizona Center for Integrative Medicine; Dr. Deepak Chopra, leader in the field of mind-body medicine; Dr. David Katz, Director of Yale University’s Prevention Research Center; Dr. Walter Willett, Chair of Nutrition at Harvard University; Geneen Roth, bestselling author and expert on emotional eating; and many other leading researchers and nutrition authorities.My education has equipped me with extensive knowledge in holistic nutrition, health coaching, and preventive health. Drawing on these skills and my knowledge of different dietary theories, I work with clients to help them make lifestyle changes that produce real and lasting results.